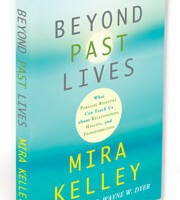 People are able to transform powerfully when they experience the stories and the profound lessons of their past lives. In this book, Mira Kelley shares the life-changing lessons she has learned from her clients to help you find support and understanding, and to empower you in your growth. The stories contained in these pages will help you understand how to heal your body, mind, and spirit as you learn about the nature of time, karma, destiny, and free will—as well as how each choice creates a new reality. 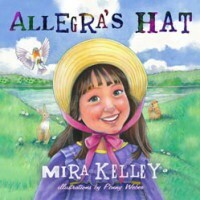 Told with a flowing, rich style, Allegra’s Hat is the simple yet powerful story of the delightful journey taken by a beautiful hat that is pulled from the grip of a young girl by a gust of wind and swept far away across the sky to encounters with several animals and their families. I conducted a spiritual regression with Dr. Wayne W. Dyer. The session was very powerful. I was transfixed in emotion and found my self literally crying as I watched how tears were streaming down Wayne’s face and as I listened to Wayne describe what he was experiencing. 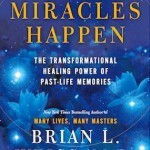 Two of my personal regression stories and one client’s regression story have been selected by Dr. Brian Weiss and Amy Weiss for publication in their book Miracles Happen: The Transformational Healing Power of Past-Life Memories. I have studied with Brian Weiss and I greatly love, respect and admire his work. Because of that I am deeply honored and delighted that these stories are featured in their book. When the story of the near death experience of Anita Moorjani reached me I was deeply moved. I wanted the whole world to read it and to benefit from the beautiful truths that Anita came to know and understand. One of the people I shared Anita’s story with was Dr. Wayne Dyer. He loved Anita’s story and was so moved by it that he too wanted to share it with the world. As a result, Anita’s story was published by Hay House and became a best-selling book. In her book, Dying To Be Me: My Journey from Cancer, to Near Death, to True Healing, Anita shares a letter I wrote in which I describe how I followed my intuition and how by doing that I helped Anita’s powerful message to reach the world.